A SPECIAL CONVERSATION WITH PAT WADORS, Senior Vice President of Global Talent Organization at LinkedIn “How LinkedIn Is Creating The HR Organization of the Future … What Does It Mean?” Pat Wadors is Senior Vice President of Global Talent Organization at LinkedIn. LinkedIn is one of the most successful and fastest growing companies in Silicon Valley and the world. 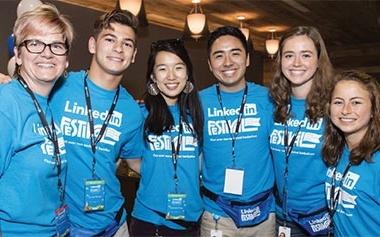 Pat joined LinkedIn in January 2013 “to lead its world-class talent (HR) team. In addition to..